The purpose of the Hearing Industry Research Consortium is to develop and direct a non-competitive, mutually agreed upon research agenda that benefits the hearing aid industry, its customers, and end-users. Announcing the 2018 RFP: "Stigma-related factors influencing the uptake of hearing aids" (05/15/2018) - The Hearing Industry Research Consortium wishes to support pre-competitive research that advances understanding of stigma related factors influencing the uptake of hearing aids. Announcing the 2017 Grant Recipients (01/22/2018) - IRC is very pleased to announce that the 2017 grant recipients are a team lead by Principal Investigator Prof. Hans Colonius, Carl von Ossietzky Universitat Oldenburg, Germany and another team lead by Prof. Anu Sharma, University of Colorado, Boulder, Colorado, USA. Announcing the 2017 RFP: "The impact of audiovisual integration on acoustic communication in hearing impaired adults" (05/01/2017) - Hearing IRC wishes to support pre-competitive research that advances understanding of the effects of both hearing aid processing and individual audiovisual integration abilities on hearing aid benefit in real-life speech communication. Announcing the 2016 Grant Recipients (02/14/2017) - IRC is very pleased to announce that the 2016 grant recipient is the team lead by Principal Investigator Dr Inga Holube, Institute of Hearing Technology and Audiology, Jade University of Applied Sciences in Oldenburg in cooperation with Dr. Markus Meis from Hörzentrum Oldenburg, Germany. Announcing the 2016 RFP: Auditory Ecology and its contribution to Quality of Life, with Emphasis on the Individual (06/13/2016) - The focus of this RFP is Auditory Ecology, a concept introduced by Gatehouse (1999) to describe the relationship between the acoustic environments experienced in everyday life and the perceptual demands of different individuals in these environments. Announcing the 2015 Grant Recipients (03/14/2016) - The Hearing Industry Research Consortium (IRC) is pleased to announce its most recent grant proposal recipients: Principal Investigators Dr Peter Nordquist, Research Institute Hörselbron, KTH Stockholm, Sweden as well as the team lead by Dr Harvey Dillon, National Acoustic Laboratories, Sydney, Australia. Announcing the 2015 RFP: Outcome Measurement and Treatment Prescription (05/01/2015) - Since 2010 the hearing industry’s largest manufacturers have collaborated to sponsor a non-competitive, mutually agreed upon research agenda benefitting the hearing aid industry, its customers, and end users. The framework for this collaboration is the Hearing Industry Research Consortium (IRC). Announcing the 2014 Grant Recipients (02/05/2015) - The Hearing Industry Research Consortium (IRC) is pleased to announce its most recent grant proposal recipients: Prof. John Grose, University of North Carolina at Chapel Hill and Dr. Elizabeth Beach, PhD, National Acoustic Laboratories, Australia. 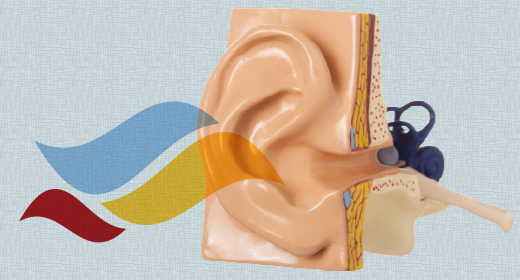 Announcing the 2014 RFP: Neurodegeneration (05/29/2014) - During the last five years, our understanding of the pathophysiology of hearing loss has been substantially enhanced, and challenged, by the discovery of auditory neuronal damage, which does not always manifest in the audiogram. Announcing the 2013 Grant Recipients (12/03/2013) - The Hearing Industry Research Consortium (IRC) is excited to announce its most recent grant proposal recipients. The team of Theo Goverts, Ph.D., and Steve Colburn, Ph.D., along with Virginia Best, Ph.D., were selected to receive $150,000 each for research which will advance the understanding of the perception of dynamic spatial listening scenarios. RFP 2013 Perception of dynamic spatial listening scenarios (06/10/2013) - Dear colleagues, The hearing aid industry’s largest manufacturers have collaborated to create the Hearing Industry Research Consortium (IRC) to develop and direct a non-competitive, mutually agreed upon research agenda benefitting the hearing aid industry, its customers, and end users. 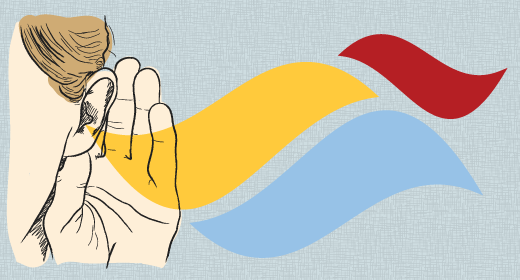 The IRC is requesting proposals for a research project on “Perception of dynamic spatial listening scenarios”. Industry Research Consortium has a new website (07/11/2012) - The hearing industry research consortium has a new website to support industry-wide research initiatives. Get started here to get your proposal sent in. Follow the three steps below and your proposal will be processed as soon as possible. First, it is important that you download and read the RFP document prior to filling out your application form. After reading the RFP document, please download and fill out the Grant Application Form. Once you've read the RFP doc and completed the Grant Application form, upload your form via the RFP Submission Form. There is not a Request for Proposal open right now. However, you can enter your email below and we will email you when we announce the dates and availability of the next one! If you'd like to see this year's Request for Proposal, you can download it here. What is the RFP Process? The IRC group consists of one stakeholder per major hearing aid manufacturer. A chairman and vice-chair are designated for a period of 2 years to act as the main contact persons and spokespersons. The yearly funding cycle starts with the Hearing IRC announcing the research area for its annual RFP in May. The funding pool is 300,000 US Dollars. The deadline for researchers to submit their project proposals is in mid-August. The proposals are reviewed by the end of September and the winner(s) is(are) typically announced shortly thereafter. Projects under the RFP should be executed within a 2-to-3-year time frame (2-year projects preferred). Have a look at some of the previous awards granted. The IRC Grant program started in 2010 and is quickly gainingmomentum. Get on board by making your proposal this year. Copyright © Hearing IRC, All Rights Reserved.